If you're the type of girl who's scared to get her hair colored, don't worry: We've found a hue that's flattering no matter what. Any brown shade, from light and ashy, to golden and deep warm, can bring out the glow of the Filipina skin tone, whether you have a cool pink or a warm yellow undertone. But if you're still doubtful as to which particular brown hue will suit you best, here's a fool-proof cheat sheet to getting your best hair color ever—whether you're morena, chinita, or mestiza! Model is wearing L'Oreal Paris Excellence Creme 6.30 Golden Blonde. Pale mestiza skin with a yellow undertone will look great with golden brown shades. Ashy brown or dark brown tones can also give your fair complexion a lovely contrast. Chinita beauties can play up their distinctly Asian features with warm brown hair. Try a reddish-brown color or a golden-toned hue to match their skin's yellow undertone. Model is wearing L'Oreal Paris Excellence Fashion 6.13 Golden Dark Blonde. Your golden skin tone matches a lot of hair colors, contrary to popular belief! You can rock anything from a blackened brown to an amber brown hue to a shade that's almost blonde. Don't be afraid to experiment! Model is wearing L'Oreal Paris Excellence Creme 6.30 Golden Dark Blonde. Trust us when we say that you can go for a bold hue, like a deep red-brown or a blackened brown that brings out your natural tan beautifully. Also, a blonder brown is a great option when you want a sun-kissed look—go for a gold-toned dark blonde for that summer glow! Model is wearing L'Oreal Paris Excellence Creme 5.35 Chocolate. Flaunt your year-round tan with an orange-brown or a chocolate brown shade that can highlight the warmth of your skin tone! Deep reddish brown shades will look great on you, too. A Just avoid yellowish hues that could wash you out and make you look sickly. 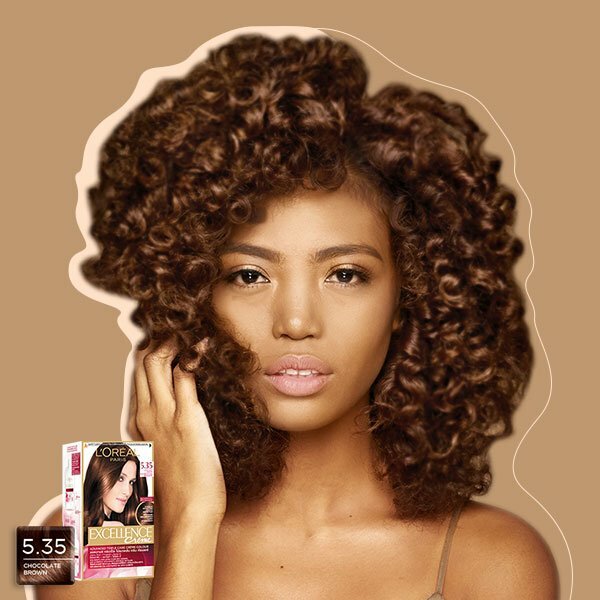 If you still can't make up your mind, pick a shade from L'Oreal Paris' Excellence Signature Browns, a selection of 16 shades of brown hair colors that are formulated to suit the Filipina skin tone. Watch this video to find the perfect brown for you! Each shade in the Excellence Signature Browns collection is available for only P399. 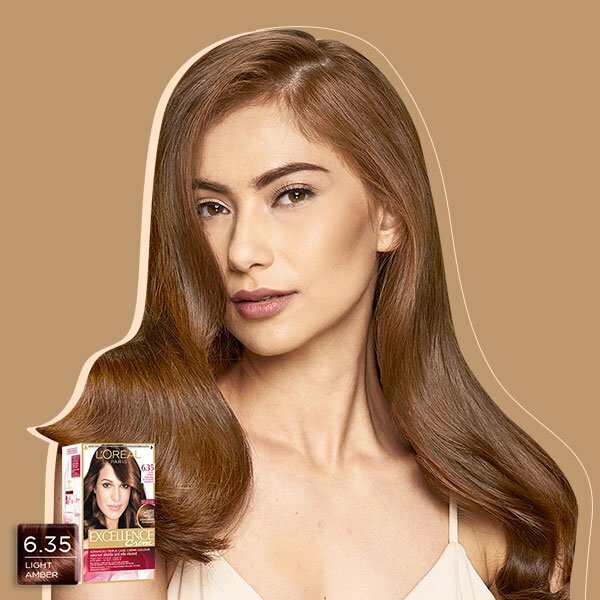 See how you'll be better in brown by visiting L'Oréal Paris on Lazada.com.ph and at beauty counters in leading department stores nationwide.